Now I’m afloat, now sinking. I would hurl my body in to see you. In 1271 Lady NijÅ�, from the powerful Fujiwara NijÅ� Family, became the concubine of a retired Japanese emperor, Emperor Go-Fukakusa. In this position she learnt the social skills required to maintain a high-ranking position in society. Despite being favoured by Emperor Go-Fukakusa, NijÅ� took several other lovers at this time, including a powerful member of society and a priest, having three children by men other than the Emperor. The one child she bore to the Emperor died in infancy. 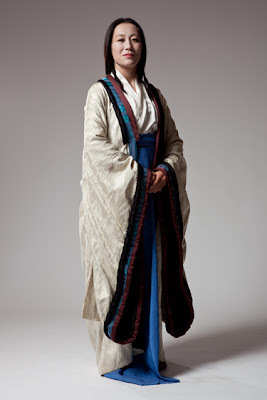 Due to her behaviour in this position, Lady NijÅ� was disliked by Go-Fukakusa’s consort, who was eventually responsible for evicting NijÅ� from the court, forcing her to leave the palace. At the age of 26, Lady NijÅ� became a Buddhist nun. However, unlike most people who entered Buddhist orders, NijÅ� travelled throughout Japan. 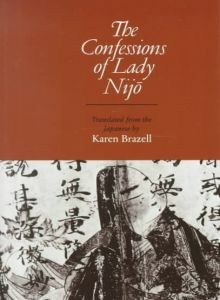 During her travels she recorded her life story in the book The Confessions of Lady NijÅ�. Li-Leng Au joins the cast as Lady NijÅ� in “Top Girls”:, playing at the MTC Theatre, Sumner from 25 August to 29 September.